Only showing entries about island from Roaming the world. View entries about island from all Travellerspoint blogs. On this trip we decided to venture of the bitten track and explore a bit of India's less visited North East. 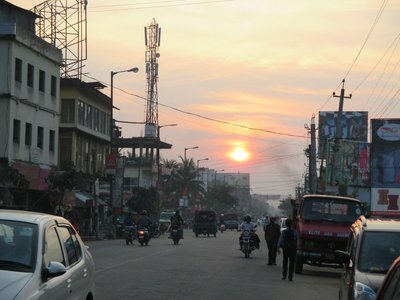 We jumped on a train and NJP Junctions and set of for Jorhat - the city right in the heart of Assam. We got of at Mariani Junction as Jorhat Town station is well connected to the rest of the network. We quickly found a cheap hotel, there are a few similar ones around Solicitors lane near ASTC Bus stand. 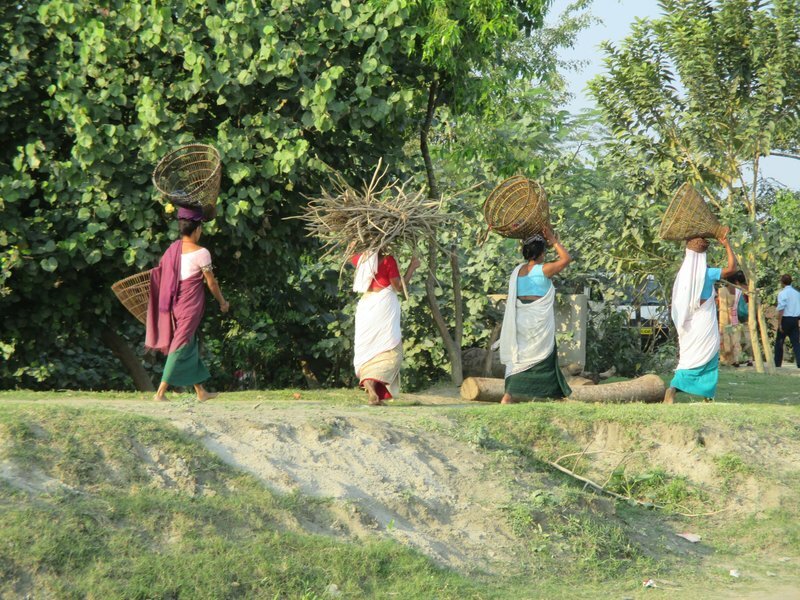 Jorhat itself is a dusty Indian town and probably not worth a visit in its own right. 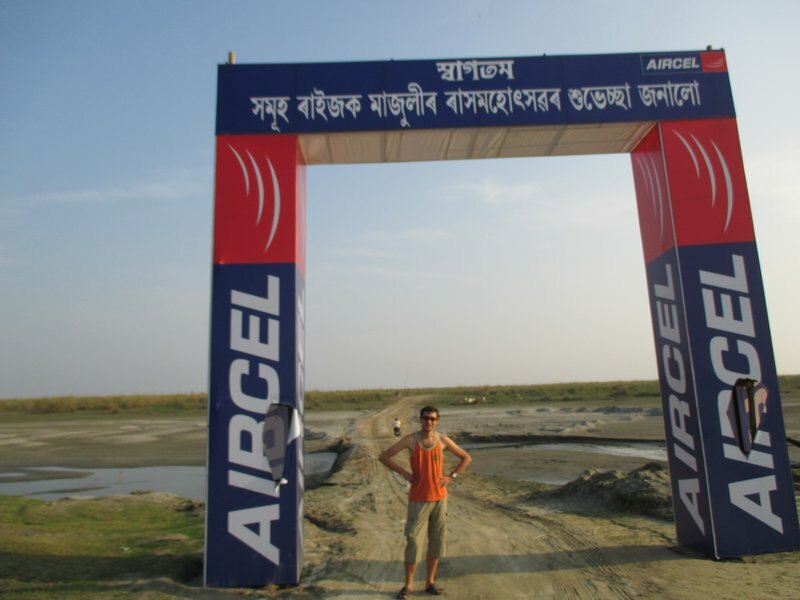 Our plan was to visit Majuli - an island on mystical Brahmaputra, supposedly the largest river island in the world and a cultural heartland of Assam. 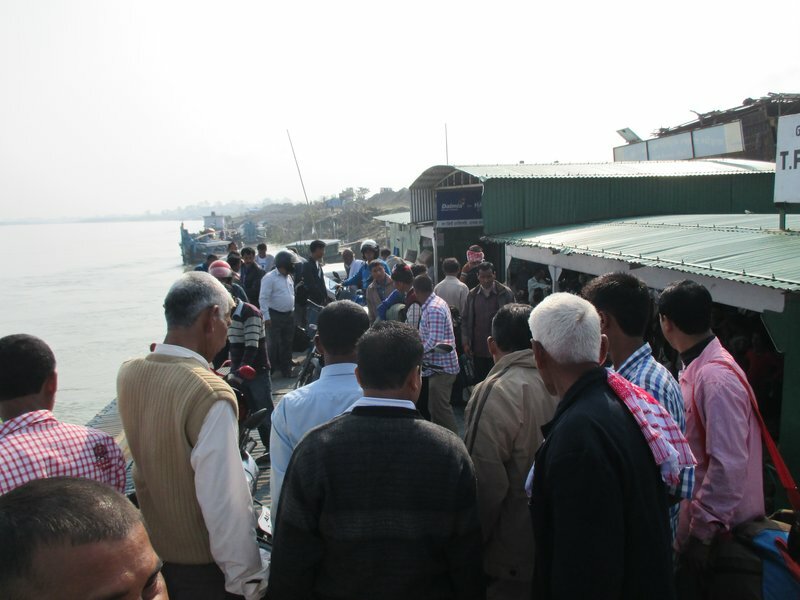 Next morning we got a van from just outside the ASTC and went to Neamati Ghat to catch a ferry. Nemathi Ghat is a wonderful place in its own right. Just like any Indian public transport terminal it's full or organised chaos, where everyone seems to wait on something but no one knows what exactly is going on. We showed up at a supposedly right pier, there were a lot of people waiting but no one was able to confirm if it was actually the right place. The ticket counter wasn't going to open until the very last moment. 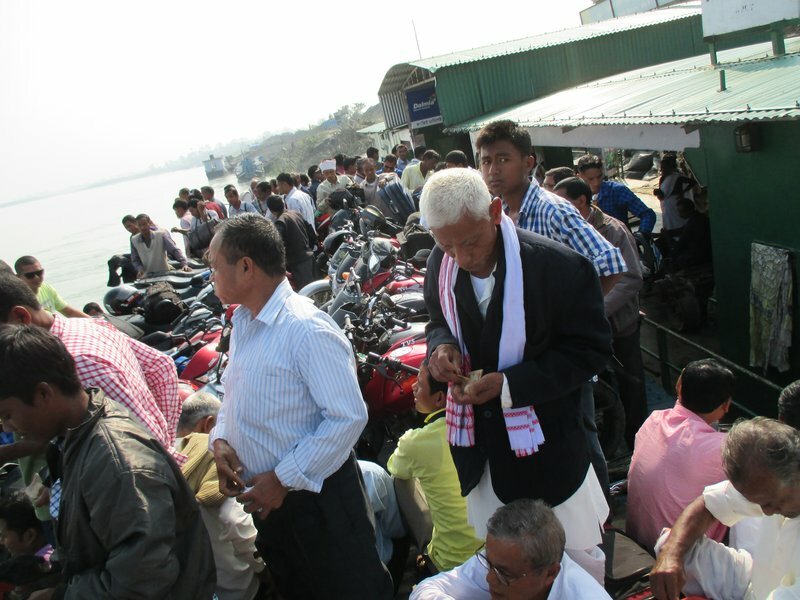 Finally when the ferry came it became free for all. In India you know better than letting anyone through and playing the "after you game". People were pushing and climbing over each other, it was wonder no one got knocked into the river. We fought our way on the top deck, luckily both of us are larger than an average Indian. The top deck started to fill up, first with 2 jeeps and then with about 20 motorbikes stacked neatly as if they were puzzles. Than even more people got on. We managed to seize a small patch on the floor and sat down on our backpacks. The locals were staring at us, but in a good way with a warm smile. I guess for them seeing these two hippies taking this ride was as exotic as it was for us actually doing it. I remember thinking if the boat was to go under pretty much everyone was a goner. There were a few buses and jeeps waiting to take us to Kamalabari. Now when I look at the map I can see at least two hotels on the main road, but it wasn't the case as I remember it. Right at the cross road there was a place called Mona Lisa Hotel. I thought well that was easy enough. But when I asked for a room the guy gave me a very puzzled look and said that they don't have any. I asked if all the rooms were taken, and he gave me another puzzled look and said that they don't do rooms. There it downed on me. I came across this before in rural Kerala, in some places in India Hotel means Restaurant, and Lodging means ... well hotel. Ideally you are looking for a place that says Hotel & Lodge. Makes sense right? We found one guest house, you had to walk up to the main crossroad and turn right than walk for about 200 m and the guest house was on the right hand side. First things first. 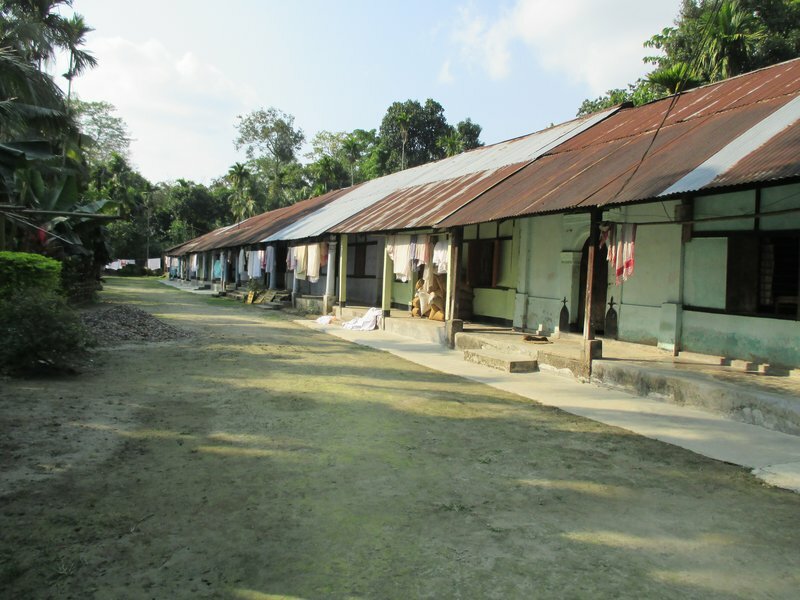 You come to Majuli to see Satras or Xatras which is a type of monastery. We went to visit Kamalabari Xatra, which was a small and very neat and quiet monastery. No hustle at the door and the entry opened to everyone. It had a small museum which was a size of the bedroom with a couple of scrolls and other random artifacts. There was no one at the door so we popped in, just as we were leaving the guy popped out and charged us 50 rs for entry ticket. I thought it was a kind of scam, but hey it's for a good cause. You got to love Indian capitalism. You can be literally in the middle of nowhere and you will still find a massive billboard advertising for one of cell networks. Vodafone usually leads though. 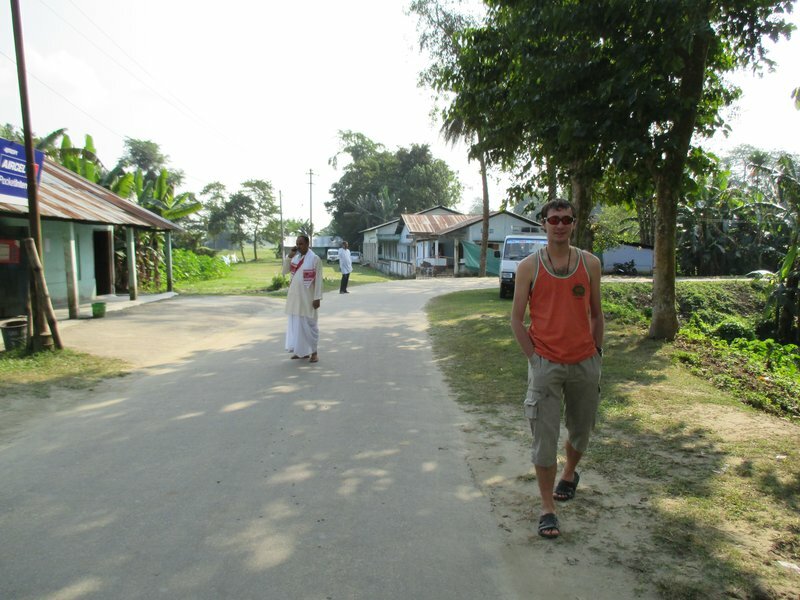 Somehow we managed to make right for Assam Majuli Festival, which we didn't even know existed. 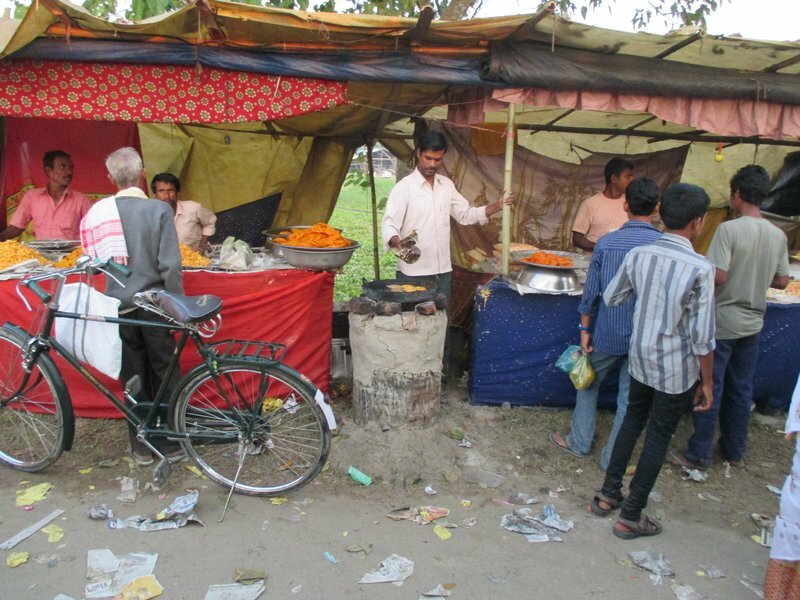 Which was held at a village 5 km away at Sri Sri Auniati Satra (mid-November).